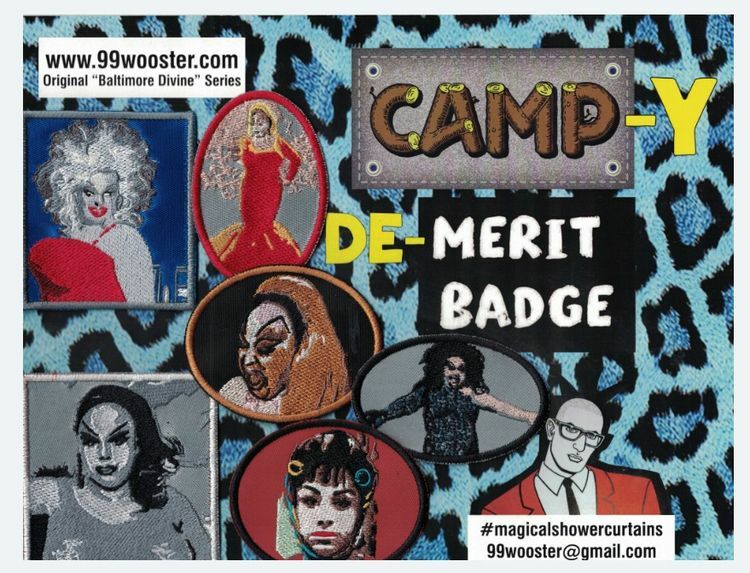 Baltimore Divine "CAMP-y de-Merit Badges"
This is SATIRE, a PARODY Item, and it has No Affiliation with Warner Brothers or John Waters/New Line Cinema any resemblance to people or characters is purely coincidental. *but they are Pretty Damn Divine ! Send message 99wooster@gmail.com for more info.